Adaobi Frank learns mobile software development and got an Associate Android Developer certification from Google Africa on Scholarship basis. Within months, she got a job that pays her 10X of her previous salary from another job. Her interview was swift as her employer was convinced that she is capable for the job. With the job Adaobi could take good care of her family. This is just one of he many experiences from people in Nigeria who had got certified through the Google Africa Certificate Scholarship. 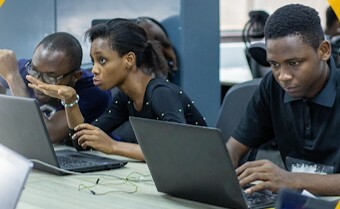 The program aimed to train 30,000 Africans this year and 1,000 grants for the Google Associate Android, Mobile Web, and Associate Cloud Engineer certifications. Google will champion this program through its partners, PluralSight and Andela. The program is designed to to train and prepare people for entry level software development as well as intermediate levels. You can apply for the scholarship here.